Many side events are planned to coincide with the opening of the United Nations General Assembly, and IMA is participating in some this week. Pictured here is the United Nations Building in New York, which is the headquarters of the United Nations organization. nsuring implementation of the 17 Sustainable Development Goals, which were launched during last year’s session, is a priority for the United Nations General Assembly this year. The theme of the 71st session, which opened Sept. 13, is “The Sustainable Development Goals: A Universal Push to Transform our World,” according to a report from the U.N. News Centre. Many side events are planned to coincide with the opening of the General Assembly session, including an Interfaith Prayer Breakfast at the Yale Club of New York City on Tuesday. The event is co-convened by UNAIDS, PEPFAR and the World Council of Churches-Ecumenical Advocacy Alliance. On Thursday, a coalition of FBO partners, including IMA, will take part in a working session on “Ending Extreme Poverty: A Moral and Spiritual Imperative,” and the ensuing action plan, the Faith-based Action Framework to End Extreme Poverty and Realize the SDGs endorsed and launched by more than 70 faith-based organizations during last year’s General Assembly session. There are now more than 100 participant organizations. The Framework, developed over the course of several months and affirmed in September 2015, outlines a series of strategies for faith leaders and communities to help end extreme poverty. It is built upon three key pillars – evidence, advocacy, and collaboration – each with a working group established to move it forward. IMA joined the Evidence Working Group along with more than 25 other faith-based organizations. Jean Duff of the Partnership for Faith and Development was selected as moderator, and the Joint Learning Initiative on Faith and Local Communities has provided vital leadership and technical support. Members have met monthly to develop an online resource to encourage local faith groups, large and small, to recognize the value of evidence and tools for including evidence-gathering in designing their development projects. The online resource will provide guidance and models to help such groups collect and learn from evidence generated by their projects. 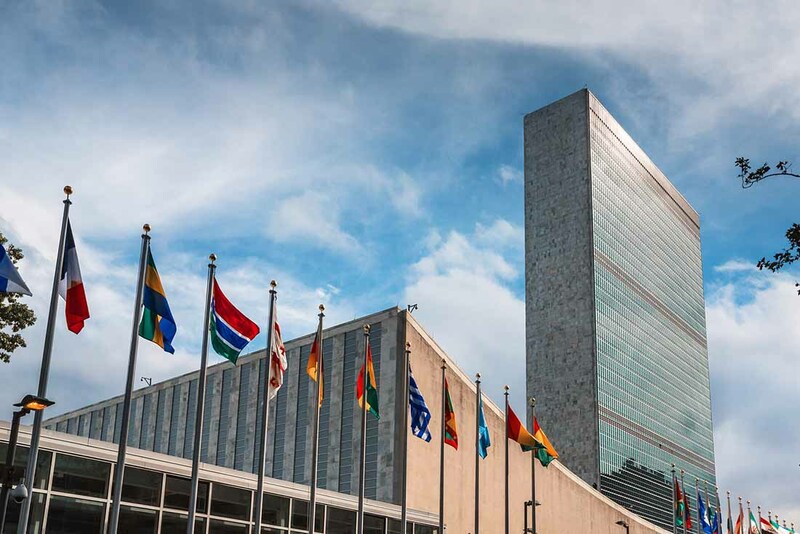 After nearly a year of collaboration, members of the EWG, including IMA, are headed to New York again during the U.N. General Assembly session to review progress made by each of the working groups. Together, participants in the Faith-based Action Framework will determine the next steps needed to implement the plan, which intended to mobilize and to equip faith-based actors as vital contributors to the Sustainable Development Goals. Rebecca Waugh, Senior Programs and External Relations Advisor, will represent IMA. IMA is proud to be among the faith-based groups contributing to this important work as well as collaborating to build a foundation that will help other faith-based organizations to become engaged in a new or more effective way. Achieving the SDGs will require the best efforts—evidence-informed—of us all.